Hoping to finish my next book, I took a trip to Cape Town. I was looking for places that would boost or at least aid the writing process. By means of a twitter pole, locals began recommending worthy venues. Soon my trip became a mission. 10 coffee shops in 10 days. Here was what I thought of my favourite spot. For a change I ordered the Café Mocha, a drink I am most critical about. It was superb! Being able to drink a Mocha without sugar and without milk, is a tricky thing to accomplish. If the chocolate element is too creamy, one is inclined to add sugar and if it is too sweet, one is inclined to add milk. If the combination is done to perfection, the intensity of the coffee grabs hold of you, and the intricacy of the dark chocolate lingers on the palate long after the cup has gone. This was all I needed to plough through my writing work. Well done to the baristas! You are artists, all of you. I have even decided to mention Truth Coffee Cult in my next book. How could I resist? 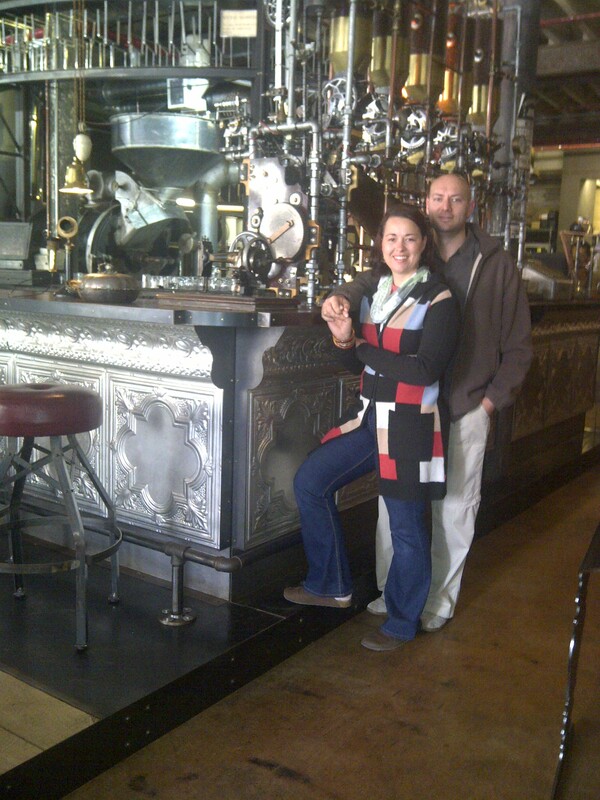 At Truth Coffee in Cape Town with my wife, Marlene. This quote by Jerome K Jerome describes how I wish to proceed with this venture. I wish to focus mainly on food, drink and merriment. The first couple of posts will be introductory posts, just me settling in. I am open to suggestions in line with the themes mentioned. If there is a wine, a venue or a particular feature you would like to see here, then let me know. Companies wishing to market themselves or to be reviewed here, can do the same. So, until the time comes when we will be denied anything enjoyable and wholesome, let us cling to every second, passionately. If you write crime long enough you start to look like a criminal. Here I will be able to escape the criminal minds I write about, and blog about the things that keep me sane.